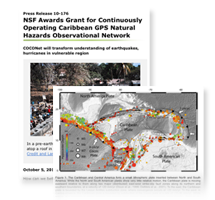 The beauty and diversity of the Caribbean region is a result of geological and atmospheric processes that also pose serious threats to the large population within reach of seismic faults, hurricanes tracks, or sea-level change. 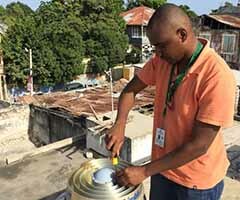 The capacity to understand, prepare for, adapt to, and in some cases predict these natural hazards requires Earth observations on both large and small scales. 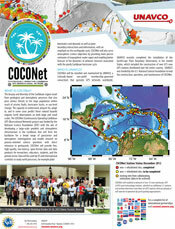 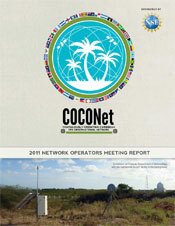 The Continuously Operating Caribbean GPS Observational Network (COCONet) project was funded by the National Science Foundation (NSF) with the aim of developing a large-scale geodetic and atmospheric infrastructure in the Caribbean that will form the backbone for a broad range of geoscience and atmospheric investigations and enable research on process-oriented science questions with direct relevance to geohazards. 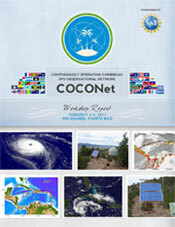 COCONet provides raw GPS data, GPS-PWV, surface meteorology measurements, time series of daily positions, as well as a station velocity field to support a broad range of geoscience investigations. 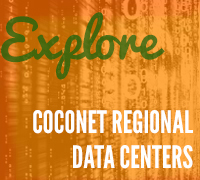 All the new and refurbished stations have sub-daily data latency. 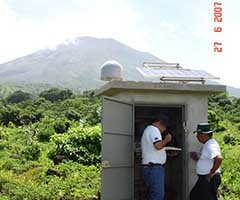 Atmospheric data products are distributed to researchers using both the Unidata Local Data Manager (LDM) and other web Internet distribution systems. 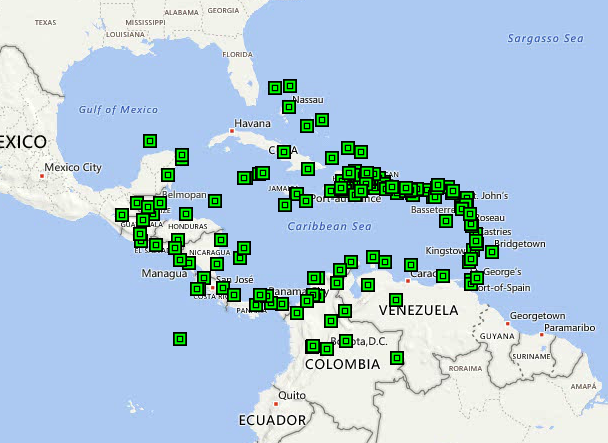 Geodetic data products are available from the UNAVCO public data archive and potential regional data partners in the Caribbean. 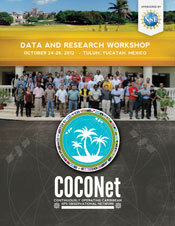 All of the participants in the project have committed to a free and open data policy. 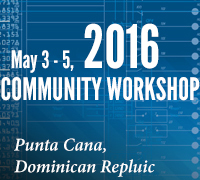 14 June 2016. 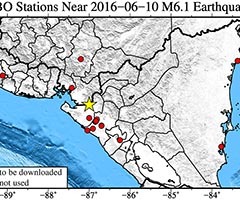 The 7 November 2012 moment magnitude 7.4 Champerico (Guatemala) earthquake is among a growing number of subduction zone events observed by a local geodetic network.